This entry was posted in Uncategorized and tagged Barack Obama, distracting audience members, Victory Speech by Amy. Bookmark the permalink. 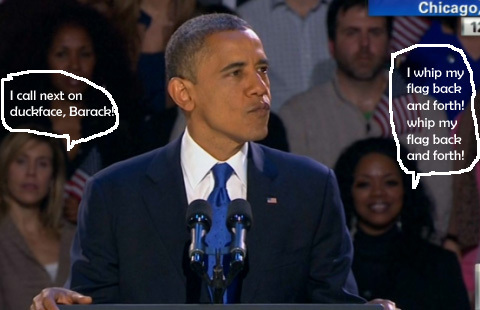 LOL Is it just me or does Obama look pouty in that screencap? You just won, man – cheer up! I wouldn’t say pouty, but passionate!